Complete IPA author Joshua M. Bernstein lays to rest the misconceptions behind one of America's most popular beer styles. The IPA is craft brewing’s bitter Godzilla, rampaging across bars, supermarkets, and bottle shops, laying waste to the poor stouts and pale ales crossing its path. IPAs are big business and growing bigger, accounting for more than $800 million in sales last year and counting. Hit any bar or brewery, and the tap lines are likely dominated by IPAs. Despite its chart-topping dominance, the IPA is massively misunderstood, with myths and misconceptions lingering like a triple IPA’s bitter bite. How can one of the country’s most popular drinks be so misconstrued? Let’s start with the definition: IPA stands for India pale ale, a construct as loose as XXXL sweatpants. IPA is essentially shorthand for any brew with more hops than the average beer. During the heady days of the early millennium, brewers added ever-more hops to their beer, an arms race of IBUs—that is, International Bittering Units—designed to lay waste to palates and serve as a counterpoint to lagers sold by the 30-pack. Today, this ghost pepper–like blaze toward intensity has, for the most part, flamed out. Today’s IPA is not just a bitter bomb ready to blow up your taste buds. Just because a brewer uses plenty of hops, it doesn’t mean you’ll wince at first sip. Bitter and hoppy are not the same thing. The IPA umbrella covers beers that are inky and roasty, gobbed with grapefruits and oranges, barely boozy or tropically tilted, and cloudier than November in New England. The IPA is not a fixed notion: It’s a restless shape-shifter, defying easy definition. But I tried. Oh, I tried. 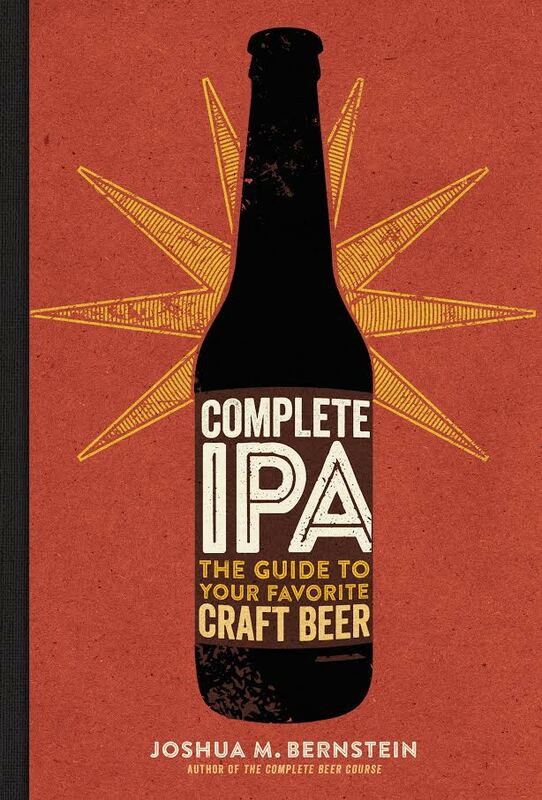 My latest book, Complete IPA, is a headlong dive into a mosh pit of hops and IPAs, covering the latest trends and crucial brewers to know, as well as deflating persistent falsehoods. Here’s the bitter, and not-so-bitter, truth on eight enduring IPA myths. The IPA was developed to endure the long boat ride to India. Let’s call this a half-truth. By the 1760s, brewers were advised to ramp up hopping rates when shipping beer to India and the Caribbean, the antiseptic flowers safeguarding beer—porters and pale ales alike—from spoilage. (Guinness Foreign Extra Stout is an espresso-like throwback to the centuries-old tradition.) The “pale ale prepared for the East and West India climate,” as the beer was sometimes touted, likely grew out of October beer, a generously hopped pale beer that was brewed in the fall, suited for extended aging on country estates. In the 19th century, brewers in Burton-on-Trent, including Bass and Allsopp, codified and popularized the new-breed pale ale. The key ingredient was the local gypsum-laced water, which created a drier, better clarified, and finely bitter beer. During the 19th century, everyone in India drank IPAs. While IPAs made the churning seafaring journey from England to India, the bitter ale was hardly the drink of rank-and-file soldiers. They mostly crushed porters, by then London’s dominant beer style. Civil servants, affluent Europeans and high-ranking officers consumed the pricier hopped pale ale, which never constituted the lion’s share of beer seal. If we time-machined it to 2005 and drank IPAs, we’d all do the bitter-beer face. Back then IPAs were blitzkriegs of bitterness, the IBU arms race great for media attention, terrible for many taste buds. “I don’t like IPAs” is typically a synonym for “I don’t like bitterness.” Today’s IPAs, though, are taking a softer turn, utilizing newfangled brewing techniques and hops reminiscent of perhaps mangos or peaches to create smooth, fruity IPAs, bitterness barely there. Northeast brewers such as Hill Farmstead, the Alchemist, and Other Half have led the fragrant movement that’s sweeping the nation. Only America makes great IPAs. In the not-so-distant past, the IPA was rightfully championed as the pinnacle of West Coast beer. California and Oregon breweries such as Stone, Green Flash, Russian River, and Deschutes led the resinous charge, laying the modern template. As the style’s popularity accelerated, new nodes of production appeared nationwide, with grade-A IPAs made in Maine, Texas, Iowa—anywhere and, increasingly, everywhere. Today, the IPA might as well be America’s national symbol, the bald eagle in the beer aisle. However, the no-hops-spared approach has gone viral, marvelous modern IPAs brewed in Buenos Aires and Brussels, Tokyo, and London. The IPA doesn’t belong to a city or region. It belongs to the world. I was recently at a bar in Portland, Oregon, a double IPA just what the doctor ordered at last call. Could the bartender tell me about the IPA that’d be fueling tomorrow’s hangover? “It’s just an IPA,” the bartender said. Was it dank and tropical? Piney and as bitter as a presidential election? Today’s IPAs are anything but boilerplate, smoothed with wheat or infused with grapefruit, a million tastes to satisfy a million taste buds. Some may read the IPA’s dominance as homogeneity. I view it as brewers’ creativity in full flower. Bitter and hoppy are synonyms. Hoppy is one of the more useless beer descriptors in the English language. Any beer that uses an abundance of hops could be described as “hoppy,” which doesn’t clarify specific flavors or aromas—except to connote that there might be loads ’em. Hoppy is a lazy adjective, one I’ve been guilty of using on multiple occasions. Use the phrase if it floats your boat, just never as shorthand for bitterness. Here’s why: A bitter beer is definitely hoppy, but a hoppy beer is not always bitter. It’s a subtle, yet important distinction. The most exciting new hops hail from the Pacific Northwest. The world wouldn’t have such expressive IPAs without the ground-up efforts of farmers and agricultural researchers in the Pacific Northwest, where some 99 percent of America’s hops are grown. The region is the birthplace of varieties such as papaya-like Citra, citrusy Centennial and piney Simcoe hops, the extravagantly deployed centerpieces of the 21st-century IPA. While Pacific Northwest farmers are continuing to create new cultivars like tropical star Mosaic, hop growers in Germany, Australia, New Zealand and South Africa are devising varieties such as white wine–like Nelson Sauvin and orange-y Mandarina Bavaria that help brewers broaden IPAs’ delicious definition. Craft brewers kicked off America’s love affair with IPAs. In America, the IPA may seem thoroughly modern, a taste of Ye Olde England reformulated for stateside consumption. Tiptoe through the history books, though, and you’ll find that Northeast brewers in the late 19th and early 20th centuries were proudly, profitably brewing British-inspired IPAs. Notably, Portsmouth, New Hampshire, housed Frank Jones Brewery and Newark, New Jersey, was home to Ballantine, which dosed its distinct IPA with distilled hop oils and aged it in wood for up to a year. Pabst recently revived Ballantine IPA, a taste of the past perfectly tuned to today. Page The most exciting new hops hail from the Pacific Northwest.